Multiflight, one of the UK’s largest private aviation companies, has combined new and existing technologies to complete a substantial overhaul of its security operation. 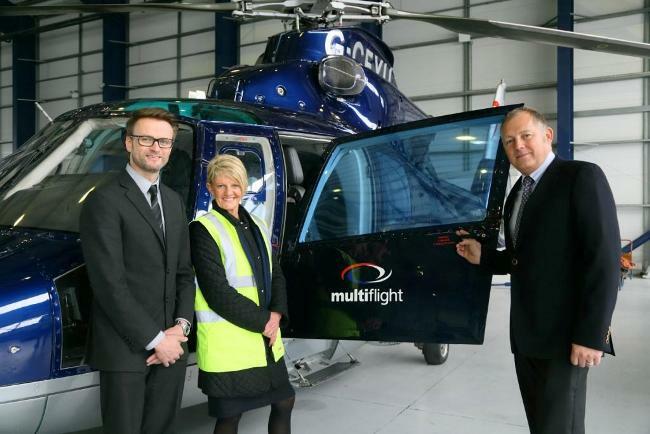 The £50,000 investment has enabled Multiflight, which operates a 5-acre site adjoining Leeds Bradford International Airport, to meet recent and demanding changes in Department of Transport regulations. The upgrade was developed by Keighley-based security provider Keybury Fire and Security who responded to Multiflight’s desire to maximise the use of existing equipment while at the same time investing in new technology to deliver 21st century site security. Taking into account the array of buildings and services on the site including executive passenger and aircraft handling, aircraft management, fuelling, hangarage, aircraft charter, maintenance and flight training, Keybury developed a hybrid system with analogue CCTV equipment installed just five years ago integrating with the latest in high definition digital camera technology. Established almost 20 years ago, Multiflight deals with 3,000 flights a year and has 270 approved users of the facility, including 70 of its own staff and Yorkshire Air Ambulance personnel. Its customers include leading business figures from major Yorkshire companies and private jet owners who use the site to house their aircraft. More than 30 aeroplanes are kept in four hangars including two air ambulances and a Boeing 737. Continued investment in security has enabled Multiflight to accommodate high profile clients such as the Queen and Prince Philip who used the VIP facility after a visiting the region during the Diamond Jubilee celebrations. The new system is providing enhanced security for both Multiflight staff and its customers. “The very nature of our operation means we need optimum security, not only so that we are compliant with industry regulations, but because it is a vital aspect of our service to customers and our responsibility to staff. “The Multiflight environment is not dissimilar to those of other sectors where a large site or building is involved with numerous access points and users.